What the Heck is a Zeebo? If you live in Brazil you may be well aware of its existence. It’s developed by Tectoy, a major electronics company based there. They are well known for localizing and releasing Sega consoles and games there, including the original Dreamcast. Now, they are ready to develop their own system, and they’re bringing Sonic along for the ride. Zeebo is a console in development with help from Qualcomm primarily, along with several other companies. It’s not expected to be the most advanced console in the world–it won’t be HD ready, but it’ll have some USB ports and it’s 3G ready. One of the key points of Zeebo will be the ability to download games onto the console. 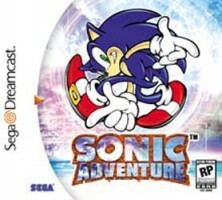 Among the games available on demand will be Sega’s Sonic Adventure. SA will be offered among a growing library of more than a dozen titles, and Tectoy expects more than 50 to be available by the end of the year. Indications are that the Zeebo will be released in the middle of the year for Brazil, and the console may pop up in other markets. However, don’t expect it in any of the major gaming markets–only the most unique import shops may carry it, and even then, downloading games over a foreign Zeebo network may prove to be a chore. Though Zeebo will have many other IPs of old and new in its library, there’s no word on whether more Sonic titles could come to the console.